Nose: Sweet with barley sugar, toasted grain, malt and a light, sugary baking spice. Palate: Good, solid character to start – juniper, earthy angelica and citrus. The sweetness is restrained on the palate, but has a silky mouthfeel that coats the tongue. 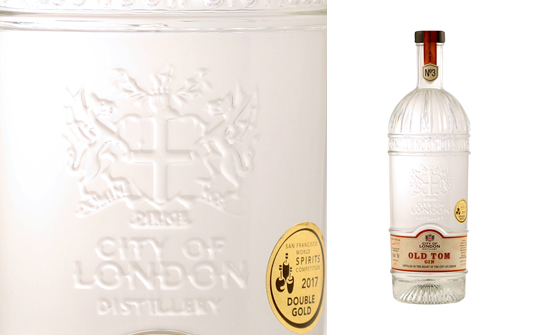 Finish: The trademark Old Tom gin sweetness is there with a definite chocolatey spice: mostly cinnamon with a little nutmeg. Comments: A pleasantly made spirit which, for an Old Tom, errs on the dry side and is a tad warm on the finish. Nose: Soft and gentle aromas of spruce, liquorice, honeysuckle, oranges and lemons. Subtle and well balanced. Palate: A full-bodied and well-rounded harmony of these traditional gin flavours. which are only very slightly on the sweeter side. Gentle, warming and complex. Finish: Long and warming with fresh, ripe citrus fruits. Comments: Very approachable, not too sweet, easy to sip and perfect for a Martinez created with a dry vermouth and dashes of Angostura bitters.